Trump has his own problems to deal with, and his problems are far worse than Ford's. Each platform would be designed for 2WD and AWD powertrains with conventional, hybrid, and electric power and hatchback, sedan, wagon, pickup, van, and SUV variants. Ford Motor Co. is hatching plans for a Raptor performance variant of the forthcoming Ranger midsize pickup. 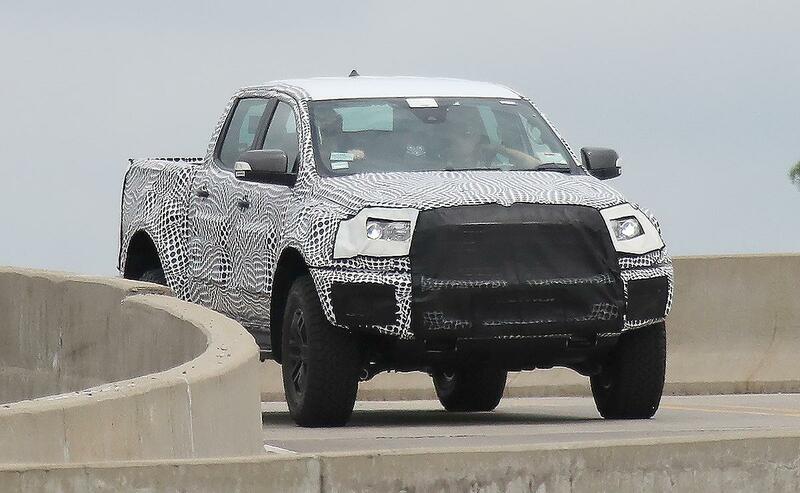 Spy photos of a camouflaged Ranger on Ford's test track in Dearborn, Mich., show a more aggressive front end than what's shown in spy shots of the standard Ranger. The latest photos also show what appear to be large fender flares, a hallmark of the F-150 Raptor. It's unclear what engines the Ranger will feature, but they could include the 2.7-liter EcoBoost found in the F-150. The Ranger's engine is expected to be paired with Ford's new 10-speed transmission, which the automaker is rolling out across its lineup. Ford, in a statement, said it does not comment on future product or camouflaged vehicles in spy photos. In January at the Detroit auto show, the automaker announced plans to revive the Ranger, with production of the 2019 model beginning late next year at the Michigan Assembly Plant in Wayne, Mich. It will compete against the Chevrolet Colorado, GMC Canyon and Toyota Tacoma. Ford last sold the Ranger in the U.S. in 2012, but it continues to build and sell it globally. DETROIT -- Ford Motor Co. on Wednesday issued three recalls in North America, led by a callback of 402,462 Transit vans that will cost the company $142 million. The automaker said the affected vans have a faulty driveshaft flexible coupling. The defect could lead to the separation of the driveshaft, which could result in a loss of power, unintended vehicle movement and damage to brake and fuel lines. Ford is not aware of any accidents or injuries related to the Transit issue. Ford disclosed the cost of the recall in a Wednesday filing with the U.S. Securities and Exchange Commission. The charge will be incurred in the second quarter results of the North American unit. The company is due to report second-quarter earnings on July 26. The affected 2015-17 model-year vehicles were built at Kansas City Assembly Plant between Jan. 17, 2014, and June 15, 2017. Ford said the issue will not affect Transits with fewer than 30,000 miles on them, or vans that have had a driveshaft or driveshaft flexible coupling replaced within the last 30,000 miles. For vehicles with more than 30,000 miles, Ford said the interim repair will consist of replacing the driveshaft flexible coupling every 30,000 miles until the final repair is available and completed. Owners will be notified by mail. In addition, Ford said it's recalling four 2017 model-year Police Interceptor utilities to repair second-row seat attachment studs, as well as three 2016 model-year Escapes with faulty driver knee airbag modules. Ford is not aware of any accidents or injuries with either issue, and will replace the affected parts for free. Does ford assume all costs or does the supplier have to stand behind their parts? It depends. For example, if it's a Ford design flaw and the supplier produced the component according to the design drawing, then Ford is responsible. This example is yet another case in a long list at Ford where they took a proven Ford global market product, reconfigured it for the US market, and created problems where there were none. I can tell tell you that the Transit in the global market is a trouble-free vehicle. Given the magnitude of this one-as well as KSC's comment on trouble free nature of the euro version, would be interesting to see who the vendor was-and to take it one step further, where were the materials sourced. As I'm pounding away on a piece of granite step with my 3 lb sledge and chisels that came out of my father's 80 year old leather tool bag, sure am glad there was no question where this steel came from! 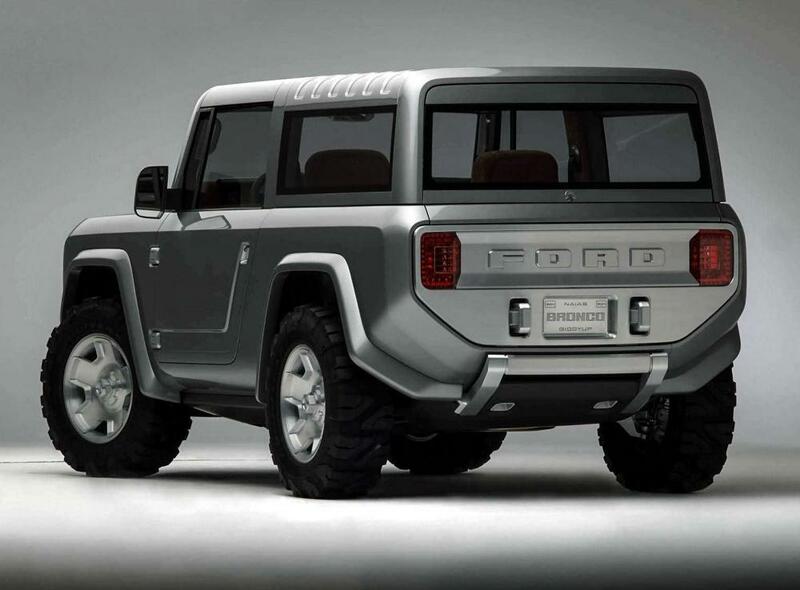 Ford Motor Co.'s 2004 Bronco concept is finally hitting the streets — sort of. The SUV, unveiled at the 2004 Detroit auto show, will be seen in the upcoming movie Rampage, starring Dwayne "The Rock" Johnson. The wrestler-turned-actor recently posted an Instagram photo that featured the Bronco in a scene from the movie, which is based on the 1980s arcade game of the same name. The Rock is a spokesman for Ford's service centers and earlier this year helped unveil the freshened 2018 Mustang, but the automaker quickly pointed out that the concept's cameo wasn't a tease of what the new Bronco — due in 2020 — will look like. 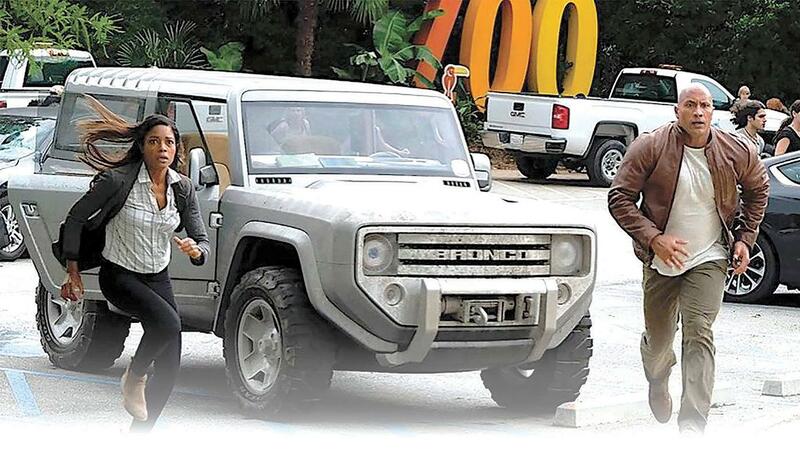 "The Ford Bronco seen in Dwayne Johnson's upcoming movie, 'Rampage,' is the 2004 Bronco concept," a Ford spokeswoman said in an emailed statement. "It does not represent the future Bronco beyond sharing the iconic Bronco name." Ford Motor Co.'s June sales fell 5 percent as fleet sales declined. The automaker's sales to daily rental companies fell 2.4 percentage points to 13 percent of its overall U.S. light-vehicle sales, as companies such as Avis and Hertz take a more cautionary approach amid a plateauing market. Sales to commercial businesses dropped 0.6 percentage points of overall volume and sales to government agencies fell 0.5 percentage points. Total fleet volume fell 14 percent, Ford said. Fleet volume represented a third of Ford's U.S. sales in June. Ford has said the fluctuations in its fleet business -- those sales increased 8.4 percent in May -- is timing-related, and are tough comparisons to last year, when most of its fleet orders were front-loaded. The automaker still plans to finish the year with about the same fleet sales as 2016. Ford's retail sales were flat -- off just 36 vehicles -- compared with last year. The company was again driven by pickup/van and SUV/crossover sales, up 1.4 percent and 3.2 percent, respectively. Car sales plummeted 23 percent. Through the first six months of the year, Ford sold more SUVs/crossovers than it ever has. "Customers drove a record 406,464 Ford brand SUV sales in the first half of this year," Mark LaNeve, Ford's vice president of U.S. marketing, sales and service, said in a statement. "F-series continues expanding its sales and share this year, with customers opting for high-series pickups and investing in class-exclusive features that only Ford trucks offer." Ford's F-series sales rose 9.8 percent last month, as average transaction prices rose $3,100 to $45,600. It was Ford's fourth month in a row selling over 70,000 pickups. Ford's SUV/crossover sales were driven by the Explorer, up 19 percent, and the Edge, up 20 percent. Ford blamed a 6.4 percent decline in Escape sales on fleet orders. Escape retail sales rose 5 percent and Ford is shortening its summer shutdown at its Escape plant in Kentucky because it expects continued strong demand. Sales of Ford's Lincoln luxury brand rose 5.3 percent; it was the brand's 17th consecutive month of retail sales gains. MKC sales increased 16 percent, and Lincoln's car sales were again propped up by sales of the new Continental, with 973 deliveries. DETROIT — After nearly 20 years working on the line at Ford Motor Co.’s Michigan Assembly Plant, Bob Wieck is used to change. The 39-year-old started at the site in 1999, and during his career — which included a brief stint at the Dearborn Truck Plant — he has switched from building cars to trucks to cars and, next year, back to trucks. Wieck had been making Ford’s unibody Focus sedan at the Wayne Stamping and Assembly Plant when, in 2009, the automaker decided to close it, consolidate production at neighboring Michigan Truck and rename the site Michigan Assembly. The state-of-the-art factory would build gasoline, electric and hybrid small cars after a $550 million renovation using a government loan. Wieck was moved to Dearborn Truck for about a year during the conversion, but returned to renovated Michigan Assembly in 2011. He said initially workers were worried and confused over the closure and transition, but were ultimately excited that Ford dedicated major resources to adding C-Max hybrids and increasing Focus output. Less than a decade later — after production cuts and layoffs — Ford is abandoning that investment, sinking about $850 million into Michigan Assembly to convert it back to a body-on-frame truck and SUV plant, this time for the Ranger midsize pickup and Bronco SUV. Although Michigan Assembly is Ford’s second-biggest plant in the United States and contributes billions to the state’s economy, the automaker can’t seem to settle on a role for the plant. Twice in about seven years, Ford has significantly changed its product plan for the site — a process that has cost billions in construction, new machinery and worker retraining. Stalling workflow for weeks at a time to gut the interior of a plant is inefficient, especially for a company whose founder preached the benefits of interchangeable parts to achieve maximum productivity. But analysts say such costly decisions are neither uncommon nor avoid-able. Consumer preferences have changed drastically since the turn of the century: Buyers who once scooped up gas-guzzling utility vehicles traded them in for economically sensible sedans as gasoline prices spiked, only to return to larger vehicles as the economy rebounded and oil prices fell. Automakers, meanwhile, are forced to respond to the whims of the buying public with product plans that are often set four or five years in advance. For instance, Fiat Chrysler is preparing to convert its Toledo North Assembly plant in Ohio from making unibody Jeep Cherokees to body-on-frame Wranglers. Ford’s 60-year-old Michigan Assembly Plant is a case study in how automakers adapt to changing market demands. The factory opened in 1957 as the Michigan Station Wagon Plant building MercuryColonyPark wagons. The previous decade, demand for such vehicles spiked 760 percent as American families expanded and began taking long road trips. Seven years later, in 1964, Ford retooled the site to build F-100 pickups and renamed it the Michigan Truck Plant. A year later, it produced the first-ever Bronco SUV. Nine years after that, Ford put in an 18,000-square-foot expansion as part of $1.1 billion in worldwide capital expenditures. Bronco production ended in 1996, and the next year Michigan Truck started churning out Ford Expeditions and Lincoln Navigators, two massive family haulers that helped define the large SUV segment. In 2005 Ford added a flexible body shop. But as gasoline prices surpassed $4 a gallon, demand for small cars skyrocketed. At the time, Ford was building its Focus small sedan at the Wayne Assembly Plant, next to Michigan Truck. Ford decided to move the Expedition and Navigator to Kentucky, and retool, consolidate and update Michigan Truck, renaming it Michigan Assembly. It was an extensive project — and Ford turned to the government to help pay for it. In 2009, it received a $5.9 billion loan from the Obama administration’s Department of Energy for the creation of fuel-efficient vehicles and technology. Ford used a portion of that loan — $550 million — to transform Michigan Truck into a small-car plant that could build gasoline, electric and hybrid vehicles on the same line. At the time, it was Ford’s most flexible plant, capable of building vehicles of varying sizes with different powertrains. Plant leaders went through three weeks of training as they switched from building body-on-frame trucks and SUVs to unibody Focus and C-Max cars. During the revamped plant’s first week of production, Ford combined its two-shift crew into one, overlapping start times so employees could work out any early kinks together. Michigan Assembly was successful, at least early on, with the small cars. According to a 2013 study by CAR, the site at the time supported more than 48,000 jobs nationally, including 24,000 in Michigan. The plant’s annual contribution to the gross domestic product then was $3 billion in Michigan and more than $5.7 billion nationally. Ford built more than 850,000 vehicles during the first three full years of production, according to the AutomotiveNewsDataCenter. But output has fallen every year since 2013, and the same factors that prompted its creation ultimately became the plant’s undoing. Slumping sales led to extended downtime at the plant, making for an awkward encounter in January 2015 when President Barack Obama came to the site to hold a rally touting the resurgent American auto industry. Because the assembly lines were temporarily shut down and workers had been sent home, Ford had to rely on employees coming in on their day off to form a crowd. Months after the president’s visit, Ford decided to lay off about 700 workers, eliminating a third shift that it had added a few years earlier. In 2015, Ford announced it would move the Focus out of Michigan Assembly to a low-cost location in 2018, but that no jobs would be lost because it would replace production with two yet-unnamed vehicles, which turned out to be the Ranger and Bronco. Ford later said it would move Focus production to China, and has yet to announce plans for the C-Max, which many expect will be killed. The about-face signaled the end of the government-funded renovation after just seven years. A Ford spokeswoman said that the automaker has paid back $3 billion of the $5.9 billion federal loan, and is on track to complete repayment in 2022. The last Focus and C-Max are to roll off the line at Michigan Assembly in mid-2018. Ford has said it expects a four-week changeover, a process that it has perfected thanks to its 2014 overhaul of the Dearborn Truck Plant to convert to aluminum-bodied pickup production. Wieck said workers were told the changeover will last one to two months and that the company will keep some existing machinery. While workers likely will have to undergo another round of training to build the different vehicles, he doesn’t expect dramatic change. Wieck is excited about the massive transformation about to occur. He said despite the change, the plant’s future is likely more secure than before because it will be building vehicles that are more in demand. Ford officials echo his optimism. Although car production didn’t last long, Hinrichs believes the past seven years have been beneficial to Ford’s understanding of hybrid and electric vehicle development. Archive photograph - Through the years, the plant has adapted to changes in the marketplace with products including Mercury station wagons in 1958, top; Ford pickups, the 100,000th of which rolled off the line in 1965, below; Ford and Lincoln SUVs and Ford Focus compact cars since 2011. Ford's Michigan Assembly Plant has undergone a number of changes over the course of its 60-year history. Since opening in 1957, it has built everything from wagons and pickups to SUVs and sedans. Here are some of the plant's key moments. 1957 Plant opens: A 760% rise in Mercury station wagon sales from 1947 to 1956 sparked the establishment of the Michigan Station Wagon Plant. ■ 1964 Truck production:The first pickup -- a Ford F-100 -- rolls off the line of the newly renamed Michigan Truck Plant. ■ 1965 Historic milestones:2 milestones are reached: The plant builds its 100,000th truck and its first Ford Bronco. 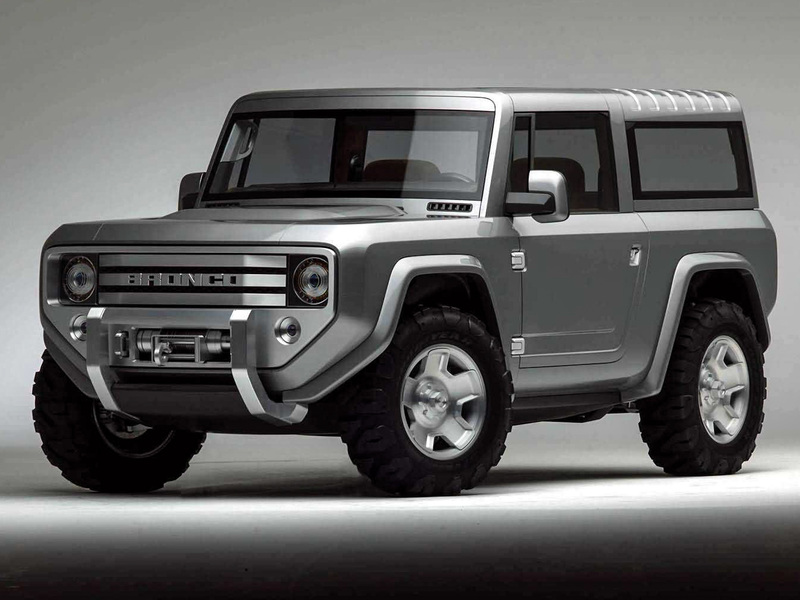 ■ 1966 Bronco boom:The SUV highlights the plant's lineup. Bronco output ends in 1996, a year before Expedition and Navigator production begins. 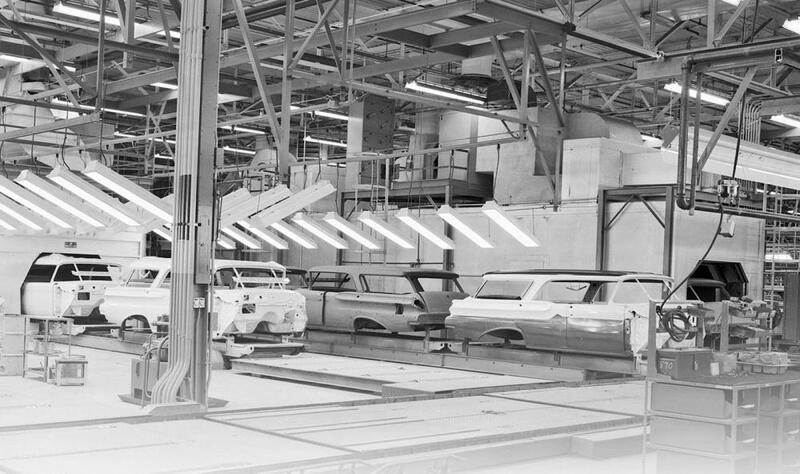 ■ 1974 Plant expansion:Michigan Truck Plant gets an 18,000-square-foot expansion as part of Ford's worldwide capital expenditure program totaling $1.1 billion. ■ 1997 SUV production:The plant begins producing the Ford Expedition and Lincoln Navigator, and continues through November 2008. A flexible body shop is added to the plant in 2005. ■ 2010-11 New Focus and EV:Renamed Michigan Assembly Plant, the factory undergoes an extensive physical transformation to ready for the production of the new Focus and a companion electric vehicle. Ford's electrification strategy entailed launching 4 new electric-powered vehicles by 2012. ■ 2018 Plant conversion:The plant will undergo an $850 million renovation to build the Ranger midsize pickup and Bronco SUV. Ford Motor Co. is shaking up its design team to shorten product development cycles and better define the group's overarching strategy. The changes expand Ford's strategic design group to enable designers to work more collaboratively at a centralized location in Dearborn, Mich. Designers are grouped into two camps: one covering cars and crossovers, and another handling trucks, SUVs and commercial vehicles. The automaker is bringing Joel Piaskowski, director of Ford of Europe design, to the U.S. as global director of design overseeing cars and crossovers. Chris Svensson, design director of the Americas, has been named global director of design overseeing trucks, SUVs and commercial vehicles. Over the last five years, Callum said, his team has nearly doubled in size. Ford will soon break ground on a new design center as part of a decadelong transformation of its Dearborn campus. Ford Motor Co. says the freshened 2018 Mustang will be its fastest pony car ever, going from 0 to 60 in under 4 seconds with its new optional "drag strip" mode. The vehicle, which goes on sale this fall, will also gain horsepower and torque over the outgoing model, thanks in part to the automaker's new 10-speed transmission. Horsepower for the 5.0-liter V-8 engine jumps to 460 from 435, and torque increases to 420 pounds-feet from 400. The four-cylinder, 2.3-liter EcoBoost engine gets 310 hp -- same as the 2017 model -- but the torque increases 30 pounds-feet to 350. The 0 to 60 time for the V-8 engine bests that of the $94,000 Porsche 911 Carrera, Ford says. It's achievable with the automaker's new "drag strip" mode, which comes as part of an optional performance package. 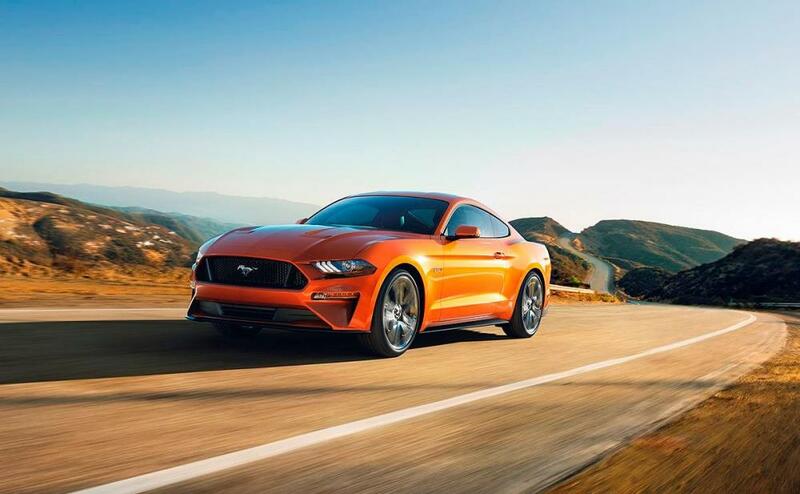 "Typically, when you shift gears, you give up time," said Carl Widmann, Mustang's chief engineer. "In Drag Strip mode, the engine torque doesn't drop when you're shifting. You get peak engine torque and horsepower straight through thanks to our new Ford-built 10-speed transmission." The four-cylinder EcoBoost engine in "drag strip" mode goes from 0 to 60 in under 5 seconds. Ford unveiled the 2018 Mustang during the Detroit auto show. It gains a more aggressive look that includes new hood vents and an optional spoiler. It also gets an optional 12-inch digital cluster, new-generation LED headlights and taillights available across all trim lines, and a number of new tech features. Ford is dropping the Mustang's 3.7-liter V-6 engine, which executives have said account for 15 percent of sales. Ford has not commented on pricing or fuel economy. Obviously responding to mopars wheelstanding " illegal" "street legal" challenger! DEARBORN, Mich., July 27, 2017 – One hundred years ago today, Ford introduced its first purpose-built truck, the 1917 Ford Model TT, forever changing the auto industry – and the very nature of work itself. A century later, Ford trucks are among the most iconic vehicles in the world. F-Series is America’s best-selling truck for 40 consecutive years and best-selling vehicle for 35 straight years. In Canada, Ford F-Series has enjoyed 51 consecutive years as best-selling pickup and now marks seven straight years as best-selling vehicle. Throughout this rich history, Ford continuously has worked to improve its trucks by listening to truck owners and developing new innovations that improve their ability to get the job done. These innovations give today’s Ford truck owners greater towing and hauling capability, advanced engines for improved efficiency, and driver-assist technologies that make it easier and more convenient to operate. Nine years after the first Model T saw Ford customers asking for a vehicle that could haul heavier loads and provide greater utility for work and deliveries. On July 27, 1917, Ford responded with the Model TT, which retained the Model T cab and engine. The Model TT came with a heavier-duty frame capable of carrying one ton of payload. The factory price was $600; 209 were sold that year. Similar to the Fordson tractor introduced in 1917, Henry Ford envisioned a chassis that could accommodate third-party beds, cargo areas and other add-ons to deliver the increased functionality needed to get work done. It was a formula for success. By 1928, Ford had sold 1.3 million Model TTs before replacing the truck with the more capable Model AA with a 1.5-ton chassis. Like the Model TT, the Model AA was available exclusively as a chassis cab offered in two lengths, with new powertrain and axle options for greater capacity. To stay ahead in what had become a hotly competitive business, Ford replaced the Model AA with the even more capable Model BB in 1933. Many were outfitted as mail and freight vehicles, ambulances and stake trucks. Two years later, Ford introduced the 1935 Model 50 pickup, powered exclusively by its famous Ford Flathead V8 engine. By 1941, Ford had sold more than 4 million trucks. Changing over to war production resulted in the loss of consumer sales but a gain in experience building heavy-duty military truck chassis and four-wheel-drive personnel carriers. A year after consumer production resumed in 1947, Ford leveraged that knowledge to provide even more innovations for its customers. F-100, while F-2 and F-3 trucks were integrated into the new F-250 line. F-4 became F-350. Class 8 trucks were spun off into a new C-Series commercial truck unit that produced iconic C-, H-, L-, N-, T- and W-Series Ford trucks. Throughout this period, Ford trucks started looking less utilitarian, sporting two-tone paint, automatic transmissions, and improved heater and radio offerings. New standard features debuted with the 1953 F-100, including armrests, dome lights and sun visors. Lower and with a wider cab, the new truck featured integrated front fenders and a more aerodynamic design. Then, in 1957, Ford tested out a car-based truck – the Falcon Ranchero. Marketed as “More Than a Car! More Than a Truck!,” this light-duty truck brought car-like amenities to consumers. In 1961 – 44 years after the Model TT – Ford introduced its fourth-generation F-Series. Lower and sleeker, it debuted the company’s revolutionary twin I-beam front suspension. An upscale Ranger package appeared in 1967. Ads emphasized improved comfort, value and durability, as Ford trucks now offered power steering and brakes, and a lower chassis profile. A larger SuperCab option introduced in 1974 featured more comfortable seating to attract dual-purpose work and family buyers. With the arrival of the sixth-generation F-Series in 1975, Ford dropped the popular F-100, replacing it with a higher-capacity F-150 pickup to combat the C/K trucks from General Motors. By 1977, F-Series pulled ahead in the sales race, and 26 million trucks later, Ford hasn’t looked back. That same year, a copywriter for a Ford truck magazine is said to have written three simple words that would come to define the brand – Built Ford Tough. It is more than a slogan – it’s the F-Series brand promise to its owners and the mantra for Ford’s entire truck team. Trucks were fast becoming universal family vehicles, in addition to being work trucks, according to Kreipke. Instead of renting a truck for a big job or for towing, people now had ones they could use for work during the week, then hitch a trailer to and haul the family in for weekend getaways. Ford trucks were adapting to the changing, more active American lifestyle. Premium edition trucks, such as the Lariat package introduced in 1978, offered more comfort features including air conditioning, leather trim, and power windows and locks. In 1982, Ford charted a different course with an all-new compact truck – Ranger. Versatile and efficient, Ranger quickly built a reputation for being tough and capable, leading it to thrive in diverse markets around the world. Now, after a seven-year hiatus, Ford is reintroducing an all-new Ranger in North America in 2019. Ford reset the benchmark again in 1998 with the introduction of F-Series Super Duty. Engineered for fleet and heavy-duty work use, Super Duty – from the F-250 all the way up to the F-750 – more clearly defined Ford trucks for a growing base of commercial applications. With an expanding lineup of F-Series trucks, the company added high-end trim and technology packages to meet customers’ diverse needs. The addition of King Ranch, Platinum and Limited model trucks provided more luxury content along with improved functionality and capability. 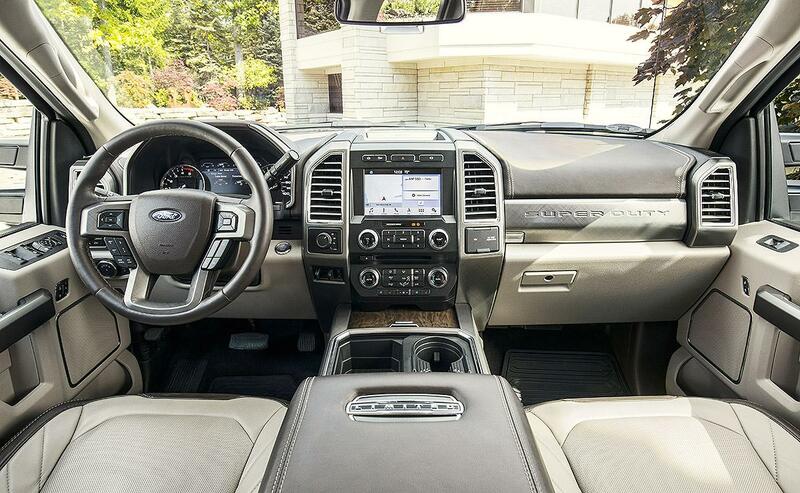 Features such as premium leather-trimmed seating, SYNC® with navigation, sunroofs and heated seats, along with gross vehicle weight and tow ratings in the 15,000-pound range combined to deliver on the Built Ford Tough brand promise. While Ford worked to continuously increase truck capabilities, the company made bold investments in efficiency, too. Powerful, yet efficient EcoBoost® V6 engine technology debuted for 2011, providing customers with better fuel economy and power. This was followed by the industry’s first high-strength, military-grade, aluminum-alloy body for the 2015 F-150, providing customers the “and” solution of greater efficiency and more capability. 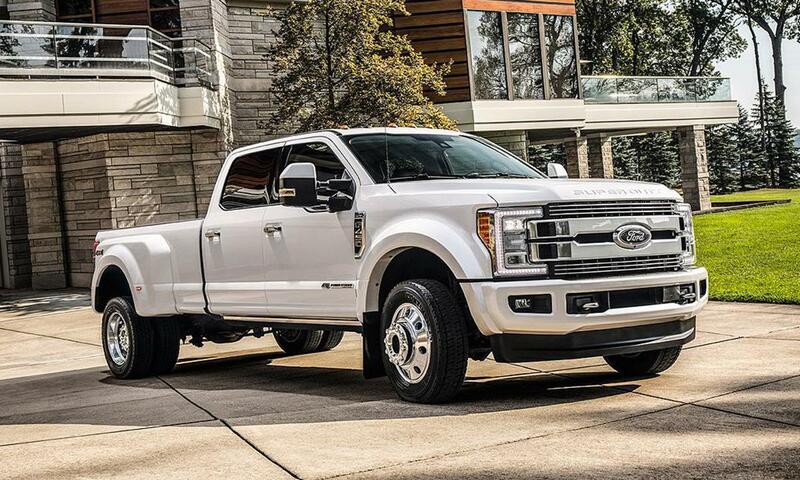 Two years later, 2017 Super Duty trucks also got lighter-weight high-strength, military-grade, aluminum-alloy bodies – a savings Ford reinvested in providing best-in-class towing and hauling capability. Innovation on the performance front continued, too, with Ford leading the way in the specialty truck segment. Early examples include Harley-Davidson F-150 and F-150 SVT Lightning. Then came Raptor – the first off-road trophy truck from a major manufacturer. Inspired by desert racing and designed specifically to meet the needs of off-road truck enthusiasts, the purpose-built F-150 Raptor set the bar high for off-road performance. Today’s second-generation 2017 F-150 Raptor features a 450-horsepower EcoBoost V6, 10-speed transmission, and segment-exclusive Terrain Management System™ with electronic-controlled transfer case and differentials. 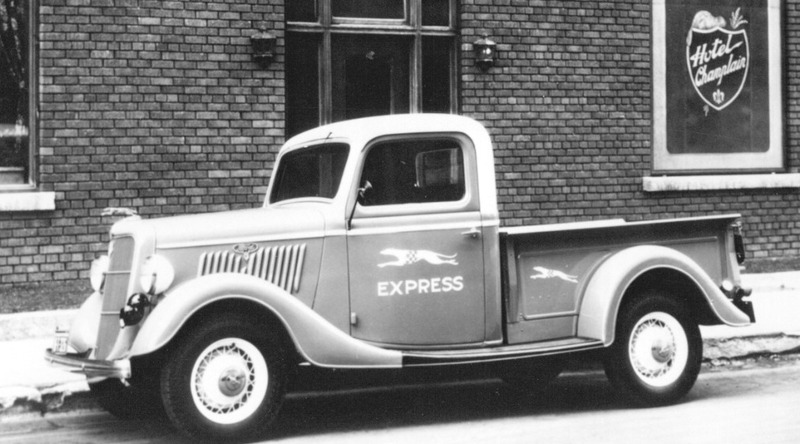 Ford is credited with putting the world on wheels, and Ford trucks helped build America. “Ford trucks carried the loads, the people and the products necessary to get the job done,” Kreipke said. Had a delivery at the local Ford dealership. I was expecting balloons, blimps, brats and beer. Nothing... They didn't know anything about it! One would think Ford would pull out all the stops and celebrate. I stopped at local brew/pub and had a beer on the way home. WASHINGTON -- Ford Motor Co. said Friday it will pay to repair police versions of its Ford Explorer SUVs to correct possible carbon monoxide leaks that may be linked to crashes and injuries after U.S. regulators escalated an investigation into 1.33 million vehicles. Ford acted amid concerns by some police departments about the safety of officers. The city of Austin, Texas, said Friday it was removing all 400 of the city’s Ford Explorer SUVs from use. The auto safety agency said it was also aware of more than 2,700 complaints that may be linked to exhaust orders and possible exposure to carbon monoxide and 41 injuries among police and civilian vehicles in the probe covering 2011-2017 model year Ford Explorer SUVs. NHTSA said it is evaluating preliminary testing that suggests carbon monoxide levels may be elevated in certain driving scenarios. NHTSA said it recently learned that the police version of the Ford Explorer was experiencing exhaust manifold cracks. Nothing like exposure on nightly network news to get prompt action. Two decades ago, when Bill Ford took the helm of his family's auto company, he was ready to talk about the coming shift to electric vehicles and the eventual demise of car ownership. His ideas were dismissed. At one point, when he wanted Ford Motor Co. to invest in developing alternative transportation, "the board kind of looked at me like once again I was over my ski tips," Mr. Ford said in an interview. As years went by, other auto makers and tech companies got on board with his way of thinking. They overtook Ford in electric and self-driving technologies, and in April, Tesla Inc., which sells stylish electric cars, passed Ford in investor value, a dashboard warning signaling Wall Street's skepticism about the growth prospects of traditional car makers. Ford was being left behind, and the man with his name on the door, who for years had largely deferred to management, decided to intervene. In the past, the family heir let CEOs take the center stage. But what was leading the industry forward -- new concepts in fuel efficiency and transportation -- had been his focus for years. Plus, he was changing, spurred by the death in 2014 of his father, William Clay Ford Sr., who was a presence at the company for more than 50 years. His passing "made me realize it is me now," Mr. Ford said, about securing the family's leadership. "I've got to do this." A month after the Tesla milestone, Mr. Ford led a rare management shake-up, people familiar with the decision said. Chief Executive Mark Fields, a 28-year veteran, was out, and Jim Hackett, the executive brought aboard in 2016 by Mr. Ford to run the car maker's innovation unit, was elevated to the chief's job. "The role we're in now requires us to stick our necks out," said Mr. Ford, the company's executive chairman, who has taken a more commanding role over the past year. "We've got to place bets. We've got to have a point of view about the future." Mr. Ford believed the company was losing direction and that Mr. Fields didn't have a clear long-term strategy, the people said. Executives were bitterly divided about how to make progress, they said. Analysts, though, are still awaiting to hear from Mr. Hackett on his broader strategic plan -- details are expected out later this year -- and point out that Ford still faces a laundry list of near-term challenges. Shares haven't budged since the CEO change, and Ford said it expects pretax operating profit to fall between 16% and 25% this year. Mr. Ford's leadership has had ups and downs. He had operational control as CEO in the early 2000s, and worked to untangle the complex and splintered organizational model that he inherited from predecessors. But high labor costs and excess capacity hurt finances, and he turned to an outsider to accelerate the turnaround. Ford and much of the car industry remains dependent on sales of cars and trucks powered by internal-combustion engines and designed to be sold for private use. That model is being upended by Tesla and other Silicon Valley tech companies, including Uber Technologies Inc. and Alphabet Inc. They are leading the shift to electric vehicles, autonomous-driving cars and ride-sharing services, which auto makers fear will reduce the need for individuals to own cars. A third of all cars produced in 2025 are expected to be electric and hybrid cars, up from about 4% in 2016, according to IHS Markit, a market analysis firm. Meanwhile, U.S. auto sales fell 3% in the year through July; at Ford, pretax operating profit slipped 4% last year. Ford is now undergoing a 100-day review of all its operations, with the goal of becoming leaner and more agile. In his first weeks as CEO, Mr. Hackett rolled out a "shot clock" policy to enforce deadlines to help implement plans faster. Mr. Ford, 60 years old, has spent more than half his life trying to push the Dearborn, Mich., based auto maker founded by his great-grandfather to think about the environment and new forms of transportation. He conceded his timing wasn't always right -- including during his own stint as CEO from 2001 to 2006. In 2008, in the throes of the auto industry's collapse, the board didn't take up his proposal that Ford invest in nontraditional transportation businesses. He said he realized the struggling company at that time was thinking about "the next week, not the next 30 years." He had lined up billions in financing two years earlier that helped keep the company afloat. Ford came through that crisis on much firmer financial footing, due to a restructuring led by former CEO Alan Mulally that eliminated brands, streamlined the company's global operations and refocused attention on the core Ford and Lincoln lineups. When Mr. Fields took over in mid-2014, Ford was solidly profitable but needed to switch gears to better prepare for its future. The company pivoted from Mr. Mulally's laser focus on core business efforts, turning its attention to "mobility," a term Mr. Ford started using nearly 20 years ago that describes new forms of transportation. Mr. Fields, who had been groomed for the top job for years, struggled. Projects appeared disjointed, without a clear path to profitability, and shares tumbled 40% during his tenure. Mr. Fields didn't respond to requests for comment. Mr. Ford turned to Mr. Hackett, a longtime office furniture executive and member of the Ford board whom Mr. Ford had helped tap to lead Ford's Smart Mobility alternative transportation unit a year earlier. Ford started the group after the company's talks to build self-driving cars with Alphabet fizzled. "Jim always made me think," demonstrating depth he rarely encountered in the car business, Mr. Ford said. "So many people I meet in this job I hear the same thing over and over again." The mobility unit is working with a bike-sharing firm in San Francisco and is crunching data on how people in various settings get from Point A to Point B. It purchased Chariot, an app-based shuttle service that plots out routes based on user demand, which has a growing presence in San Francisco, New York, Seattle and Austin. In the interview at the Dearborn headquarters, Mr. Ford described Mr. Hackett, who helped transform office spaces away from cubicles into flexible, open plans during nearly 20 years as CEO at Steelcase Inc., as a like-minded ally in the quest to reinvent the car business. "We're just very much in sync," Mr. Ford said. "I never have to wonder, and he doesn't have to wonder, what the other guy is up to." Ford's sales of hybrid and electric vehicles grew 17% last year -- the genre made up 3% of company sales -- and Ford plans to roll out 13 more electrified vehicles in the next five years, including hybrid versions of its Mustang sports car and top-selling F-150 truck. The auto maker said earlier this year it will invest $1 billion in artificial-intelligence startup Argo AI to develop autonomous-driving technologies. Ford said it plans to put a fully autonomous car on the road by 2021 for commercial use. Mr. Ford said that when he took over as chairman in 1999, 20 years after joining the company as a product planning analyst, the culture was "hierarchical, almost militaristic." The rigid style once made Ford a leader in an industry dictated by long development cycles and intense capital needs, but eventually made it too insular and slow to compete with fast-moving technology companies. In June, Mr. Hackett took Mr. Ford and the senior management team to Steelcase to learn about how the retailer grew from an old-line seller of office furniture into a service-oriented business that helped clients rethink office spaces around technology and modern work habits. "He just wanted us to get out of our mind-set here, to ask a lot of what-if questions away from Ford," Mr. Ford said. As part of the management shuffle, Mr. Ford has become a more visible steward of the company. He attends and weighs in at meetings to discuss strategy. He has direct responsibility for communications and government relations -- he worked to defuse President Donald Trump's criticism of the company's plans to move production of the Ford Focus to Mexico. Ford now plans to move the car's production for the U.S. market to China. Last fall, Mr. Ford met with a small group of dealers at a restaurant in Dearborn, to talk about Ford's push into new ventures, such as ride-sharing and autonomous cars. Dealers were nervous the company was shifting too much attention away from its core business. Some were alarmed when Ford introduced only one new model at the Detroit auto show in 2016 -- an annual event typically dominated by unveilings of the SUVs and pickup trucks that deliver the bulk of Ford's profits -- and instead focused on mobility ventures. Ford didn't unveil new models at the 2017 show. Mr. Ford, standing in the middle of the group, reassured them this wasn't the case. "It was a very frank discussion to let the dealers know where all this is going," said Jim Seavitt, whose Ford dealership is located a few miles down the road from Ford's headquarters. Mr. Ford assured the dealers that new models were coming and that Ford was still focused on producing vehicles they could sell, said Mr. Seavitt, who has sold Mr. Ford Mustang sports cars over the years and recently delivered to him a new GT supercar. In his younger days, Mr. Ford would often shy away from the spotlight, viewing himself as good soldier for the company, on acquaintance said. As he gained management experience, he spoke with more authority, and came across as particularly passionate "when he's talking about something of importance to him like the environment and mobility," the person said. "Bill may be quiet, he may be modest, but he will step up without fear of consequence or risk when he feels it is important to do so," said Irv Hockaday, a former Hallmark Cards Inc. CEO who served on Ford's board from 1987 to 2013. DETROIT -- Ford Motor Co. will temporarily shut down production lines at five assembly plants in North America before the end of the year to fix recalled commercial vans and reduce output of slow-selling cars. Both of Ford's Mexico plants are affected. Cuautitlan Assembly Plant, which makes the Fiesta sedan, will be down for three weeks. Hermosillo Assembly Plant, which makes the Ford Fusion and Lincoln MKZ sedans, will be down for two weeks. In the U.S., Flat Rock Assembly Plant, which builds the Ford Mustang sports car and Lincoln Continental sedan, will be down for two weeks. Kansas City Assembly Plant's Transit line will be down for two weeks. Michigan Assembly Plant, which makes the Focus sedan and C-Max hatchback, will be down for one week. "We are continuing to match production with customer demand, as we always do, and we are on track for our dealer inventories to remain at planned levels by year-end," a Ford spokeswoman said in an emailed statement. In the case of the three U.S. plants, UAW workers will be placed on temporary layoff and will receive about 80 percent of their regular take-home pay. Collectively, the five plants employ more than 20,000 people, according to Ford's website. Ford did not provide any specific dates for the downtime, although the first week off for Kansas City workers will be Sept. 25 to Oct. 1, according to UAW Local 249, which represents them. The F-150 line at the plant is unaffected. 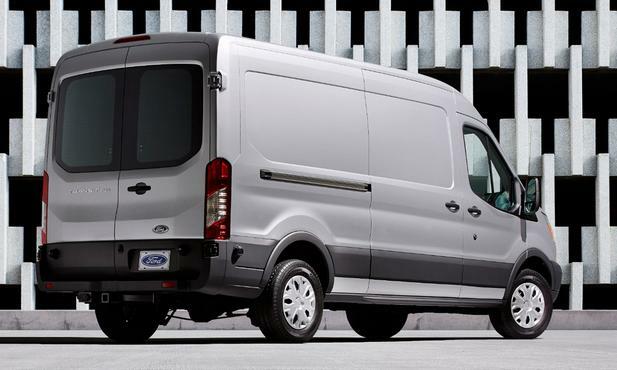 The Transit is the best-selling large van in the country, but Ford in June said it was recalling 402,462 vans -- costing the company $142 million -- because of a faulty driveshaft flexible coupling. The defect could lead to the separation of the driveshaft, which could result in a loss of power, unintended vehicle movement and damage to brake and fuel lines. The Transit is still outpacing competition that includes the Chevrolet Express, GMC Savana, Ram Promaster, Mercedes-Benz Sprinter and Nissan NV. But sales fell 15 percent last month and are down 21 percent to 80,292 units through the first eight months of the year, according to the Automotive News Data Center. Retail sales are up, but fleet sales have fallen. In all other cases, the plants to be idled produce slow-selling cars. Ford CFO Bob Shanks early this year told analysts "don't be surprised" if Ford trims vehicle inventory to avoid a glut of unsold vehicles on dealer lots. Ford had an 81-day supply of vehicles as of Sept. 1, up from 77 a month earlier. Ford Motor’s total sales are down 4 percent through the first eight months of the year, slightly outpacing the industry’s overall sales decline of 2.7 percent. The Ford brand’s car sales are down 20 percent, while overall U.S. car sales have fallen 12 percent. Ford's truck sales are up 2 percent while total U.S. truck sales have risen 3.6 percent. Ford Motor has also lost one tenth of one percentage point of market share so far this year, to 15.1 percent. The $100,000 pickup is almost here. For 2018, Ford is adding a new top-of-the-line model, the F-450 Limited 4x4. The starting price, including $1,295 for shipping, is $87,100. Ford says customers who check every available option will push the price to $94,455. Add in sales taxes and title fees, and most buyers are looking at a six-figure purchase price. And that's OK with Ford. "We still haven't found the ceiling for luxury trucks," said Ford spokesman Mike Levine. The truck's interior is even more opulent than the King Ranch and Platinum, Ford's two luxury pickups. The F-450 Limited features custom camelback leather two-tone seats, a suede headliner and stitched leather on the steering wheel and instrument panel. The interior is bedecked with hand-finished dark ash wood trim. But the F-450 Limited isn't just about leather seats, an advanced infotainment system and a full menu of safety equipment. Ford says it can tow up to 15 tons. The truck is powered by a 6.7-liter Power Stroke turbodiesel V-8 mated to a six-speed automatic that drives all four wheels. Dual rear wheels are optional. "Super Duty Limited is the most luxurious and advanced heavy-duty pickup truck ever created by Ford for accomplished buyers with appetites for the high life and hard-earned dollars to match," Todd Eckert, Ford truck group marketing manager, said in a statement. Ford plans to unveil the F-450 Limited on Thursday at a press preview at the State Fair of Texas in Dallas. The fair, ground zero in the pickup marketing wars, is a venue where automakers often up the ante in towing, torque, horsepower and luxury models. The truck display at the fair, which opens to the public Friday and runs through Oct. 22, is like a giant amusement park for truck buyers. It is filled with interactive events, outsized displays, engineers, product information specialists and demonstrations of towing and hauling capabilities. Last year, more than 2.4 million people attended the fair. The center consoles in all these new trucks are getting so big and bulky, it's like driving an old cabover. My last new truck they had to look hard to find a bench seat with leather. LONDON -- Jaguar Land Rover (JLR) will stop sourcing gasoline engines from Ford Motor's plant in Bridgend, Wales, UK and end its current contract earlier than expected in 2020, creating uncertainty over 750 jobs. "We have informed our unions that Jaguar Land Rover intends to end our petrol engine supply arrangement slightly earlier than expected in late 2020," Ford said in a statement. "Given our long-established and successful relationship in the delivery of world-class engines, this is disappointing news for the Ford Bridgend engine plant." JLR had decided to end its long-standing relationship with the plant, after the current contract expires three months earlier than planned in September 2020, a source close to the arrangements said. Around 750 workers, about half of the plant's total, are dedicated to JLR production, the source said. Ford said it would "continue to look at other high technology opportunities for Bridgend in the future." JLR, which Ford sold to Tata Motors in 2008, opened a new engine plant in England's West Midlands in 2014, and in 2015 announced a plan to double its size, taking total investment to about 1 billion pounds ($1.3 billion). The company said that in line with its contract it had served the required three years notice to Ford for the supply of the six- and eight-cylinder gasoline engines from its Bridgend plant. "Ford has been, and remains, an important strategic supplier to Jaguar Land Rover under an agreement which was negotiated to support our business until the end of the decade," it said. The announcement is another blow to the Welsh plant, which is already facing potential job cuts as Ford grapples with the aftermath of Brexit and slowing growth in Europe. The F-450 Limited delivers technology and comfort previously reserved only in premium flagship sedans, and it’s capable enough to tow more than 30,000 lbs. DALLAS, Sept. 28, 2017 – Ford – America’s truck leader – today pulls off the wraps of a new F-Series Super Duty Limited that sets new luxury standards for high-end heavy-duty truckers. With pricing at $87,100, the F-450 Limited delivers technology and comfort previously reserved only in premium flagship sedans, and it’s capable enough to tow more than 30,000 lbs. – about the weight of a stealthy Air Force F-35 fighter plane. Customers who check every option box can top one out for as much as $94,455. More than 50 percent of the Super Duty lineup’s retail sales this year are high-end models – including Lariat, King Ranch and Platinum series. Limited goes even further. “Imagine opening the door to your humidor and sinking into your favorite leather lounge chair – that’s the sensation new Super Duty Limited inspires,” said Ford design manager Aileen Barraza. Custom Camelback two-tone leather seats, premium stitched leather-wrapped steering wheel, armrests and instrument panel, Miko® suede headliner, hand-finished dark ash wood trim, special badging set the interior apart. Outside, a special twin-bar satin grille with chrome accents, quad-beam LED lights and satin-finished tailgate applique are Limited’s unique calling cards. Each Limited also has a dedicated serial number laser-etched on the center console armrest. Is Ford backing away from heavy-duty truck buyers with fewer greenbacks? No way! Ford has a heavy-duty pickup truck for every customer – from work-ready F-250 XL starting at $32,890 to top-of-the-line F-450 Limited starting at $87,100. Super Duty Limited crew cab arrives this winter with Ford’s 6.7-liter Power Stroke® diesel V8 across F-250, F-350 and F-450 single- or dual-rear-wheel configurations. DALLAS — Ford's latest luxury vehicle has hand-finished wood trim, supple custom leather upholstery and nearly all the accouterments one would expect of a vehicle that can bump into six figures when the majority of options boxes are checked and sales tax is added. But unlike most other $100,000 luxury vehicles, this one can haul 15 tons. Ford's F-450 Limited, introduced last week at a media preview at the State Fair of Texas, is the most expensive luxury pickup yet from a major automaker. The huge bruiser — too long to fit inside most home garages — is part of a growing class of ultraluxury, ultraexpensive and ultrahardworking pickups that are testing the upper limits of price. And even though the F-450's out-the-door price can top $100,000, Ford's marketers say they don't yet know where the real ceiling is on how much consumers will pay for a maxed-out heavy-duty pickup outfitted like a Bentley, but with a powertrain that can haul 30,000 pounds. Neither do marketing executives at General Motors and Fiat Chrysler's Ram brand. Ram also introduced a luxury pickup at the fair, a heavy-duty Laramie Longhorn Southfork edition. The top model, the 3500 4x4 dually mega cab Southfork, with its optional Cummins turbodiesel engine, has a base price of $83,110, including the $1,395 shipping charge. The 2018 model, just now being shipped to dealers, joins several other luxury Ram trucks, including the 3500 Laramie Limited Tungsten mega cab dually 4x4, which has a starting price of $85,780 with shipping and can get close to $100,000 all in. It can also haul 30,000 pounds. "We can't keep them in inventory," Ram officials told reporters at a press conference at the fair, speaking of the Tungsten model. "That tells us that customers are continuing to look for more. We'll listen to our customers and see what they want." Prices for GM's top luxury trucks, diesel-powered 3500 4x4 dually versions of the Chevrolet Silverado and GMC Sierra, can reach the low to mid-$80,000s, fully optioned. But Sandor Piszar, Chevrolet truck marketing director, says Chevrolet also has identified a set of customers willing to pay more for a bigger, more luxurious and more capable truck. Next year, Chevrolet is re-entering the medium-duty truck market, a segment typically used for fleet vehicles and commercial trucks, which Chevrolet was forced to abandon during its bankruptcy nearly a decade ago. But Piszar said Chevrolet will launch two new-from-the-wheels-up 4500 and 5500 chassis cab models and could add a 4500 pickup later. If so, it would give GM a direct competitor to the Ford F-450, currently the largest consumer pickup available. "There is a segment out there that really wants that ultimate truck," Piszar said of a potential Chevrolet Silverado 4500 pickup. Nissan is the only other automaker to offer a heavy-duty pickup with its Titan XD, but its top-of-the-line Platinum Reserve XD doesn't compete with Detroit models on towing, hauling, power output and luxury features. The Nissan's price maxes out in the mid-$60,000s. Ford created the luxury pickup segment in 2001 with the F-150 King Ranch and has been pushing size and capability, adding luxury features and boosting the price ever since. Ford's other luxury trucks include the Platinum and Limited. Ford says more than half of the sales of its Super Duty pickups are high-end models, which include Lariat, King Ranch and Platinum trim levels. "There are heavy-duty truck customers who need Super Duty capability and who want true luxury," said Todd Eckert, Ford's truck group marketing manager. "For us, it is not about the dollar amount," Eckert told Automotive News last week after the F-450 Limited's debut. "It's about meeting the needs of the customers. We see an opportunity in the marketplace to bring the Limited trim to Super Duty. We know customers will demand it." The F-450's standard equipment list reads more like what a customer would expect in a Lincoln Continental. It includes adaptive cruise control, adaptive steering, lane-keeping alert, front-collision warning, ventilated front and rear seats, a leather-stitched heated steering wheel, suede headliner, leather door panels and more. Asked if Ford is considering something even more plush and powerful than the F-450, Eckert said: "We are always looking at the marketplace and what customers demand. That's always the guide." Brandon Tomes, dealer principal at Bob Tomes Ford in McKinney, Texas, plans to order an F-450 Limited and test the water for the luxury truck. If it sells quickly, he'll order more, he said. The dealership has already sold a few heavily customized F-150s that priced out at about $100,000, so he knows some customers are not shy. "It's hard to guess how big the market is," Tomes said. "I don't think trucks have found a ceiling yet. You get customers who want every bell and whistle."